Artist (n): someone who creates things with great skill and imagination. Why did you start performing? What's your reason for continuing? Was it the rush of adrenaline that swept through every part of your being after being on stage, leaving you with an addicting high? So much so that like a drug, you had to keep going back for more for fear of getting withdrawals? Is it the desire to feel wanted? Does it give you something that your life outside of performing can't give you? Does the glorification of your creativity and seeing people appreciate you and your art fuel your ego? Is it a cathartic way to heal your wounds? Is it a way for you to escape the real world, your troubles, your anxieties and inhabit another's world? 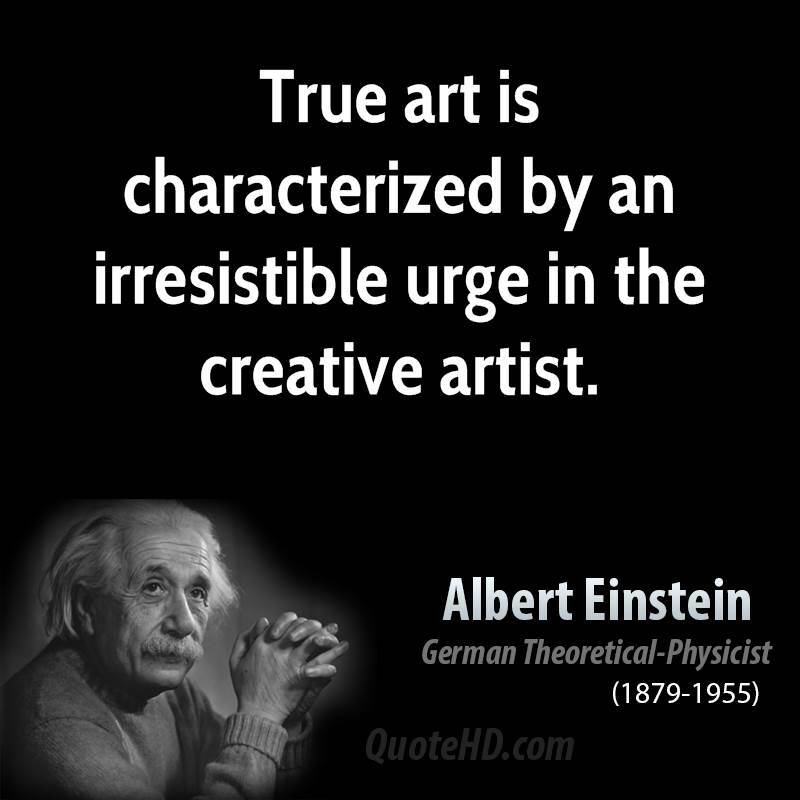 Or, was it the fulfillment of unleashing your thoughts, emotions, imagination or life story through your art? The unwavering, persistent need to create and curate art, all for the sake of creative fulfillment? Or all or part of the above? Personally, it's a way for me to process my wounds, escape as well as a medium for me to unleash my thoughts, feelings, emotions, etc through my art. The unrelenting need to create. Theatre is, in part, therapy for me. It has been since the I was young. I may write a blog on that at some point. I have discussed it briefly in a few media interviews. But, when I feel it's the right time, I'll divulge a little more as to why theatre and creating art is therapudic for me. The reason I decided to write this blog is because of a conversation I had with a fellow artist while I was filming earlier this week. For those who haven't been following my Instagram or Facebook stories, I was on set last week for a TV show (I can't divulge what yet but I will later in the year) and I was chatting with one of the performers back stage as we were getting into make-up/costume. This particular performer works full time as a performer (which is pretty rare in NZ) and we chatted about his background and skimmed over the milestones that allowed him to get to the place he is at now. He corrected me when I referred to him as an actor, he said "no, I am an artist". I stopped to think about this for a second. It resonated with me. I apologized and rectified my statement. We then got talking about why we are artists and not just actors or performers. Basically, what we discussed was the following. An artist has an undying need to create. Let's look at it this way: An artist, despite their profession, whether they're an actor/actress, dancer, singer, comedian, etc will find ways outside the conventional or given circumstances to make art. They may take on roles handed to them and have the ability to be creative in the way they flesh them out, but they also make a priority of creating their own projects, collaborating with other artists (often from other creative professions) to further extend their creative abilities and do not limit themselves to what is handed to them. They want to make art, for whatever personal or impersonal reasons that may be. The need is great and overwhelming and once one project is done, another must take it's place or the artist will feel unfulfilled. Artists are the ones who don't wait for a circumstance that art can be projected into to present itself. They're ambitious, they've got a go-getter attitude and will unwaveringly follow their desire and need to bring fourth their thoughts, feelings, manifestations into a real, tangible thing. The other important thing about artists is this. Artists are true to themselves. Yes, we've all had to sell our soul to the man every once in a while, creating acts or doing something which doesn't spark our creative soul for the sake of money, for example. BUT, the majority of the time (especially for personal projects) the artist will create something for themselves and a manner that is true to their style, taste, etc. Yes, yes... it is important to consider your audience, as dependent on whether a piece is a film piece, or a performance piece, you need to keep in mind the demographic, whether it aligns with your brand, etc. BUT... your art should represent you and come from your heart. You can always tell a superficial act from one lead from the inner musings of the creative mind. When people come to watch an act, they want two things: to be entertained and to be moved. Aligning with the principles of Stanislavsky (see my previous blog post on this here) if the artist feels the emotion and thinks the thoughts truthfully, the audience will feel it. If the artist feels joy, truly feels it, so will their audience. An example - we all know that one person who is like a dead weight when they walk into the room, a "Negative Nancy", per say. The negativity of the person will flow through the room like smoke, circling and winding it's way through the room from the ground up until all are consumed by it. We're emotive beings, and we have this incredible ability to feel. We can flip this on it's head and like the "Negative Nancy" we all have that friend who is full of energy and radiates happiness. It's like their very presence ignites a spark of positivity and lightness to anyone within a 6m radius. These types of people are consumed by their emotions, whether positive or negative, and we can feel it. The same goes for when you're on stage. Bottom line, if you're emotionally connected to what your performing, whether it be pure joy of loving being in the moment, or whether it's emotion attached to a political statement, message, etc you're trying to get across, so long as it's conveyed in a way the audience can process and understand it, they'll feel it and get it. Marina Abramović. Performing her public performance art piece 'Rhythm 0' in 1974. Photographer unknown. The other very important defining factor in being an artist is this. The artist is in a state of constant change. They evolve, develop and grow. They allow themselves to be fluid and non conforming. They do not put a full stop at the end of their creativity. Yes, they may close the book on a project, but they'll be in relentless pursuit of the next one. An example is Lady Gaga. From when Gaga first debuted on the scene (note: she was performing LONG before we all knew of her in the mainstream) to now, she's gone through significant changes, which we can see with every album released. The "Born this Way" era, the current "Joanne" era, etc. Be sure to watch her documentary about creating her album "Joanne" called 'Five Foot Two" (see the trailer here). 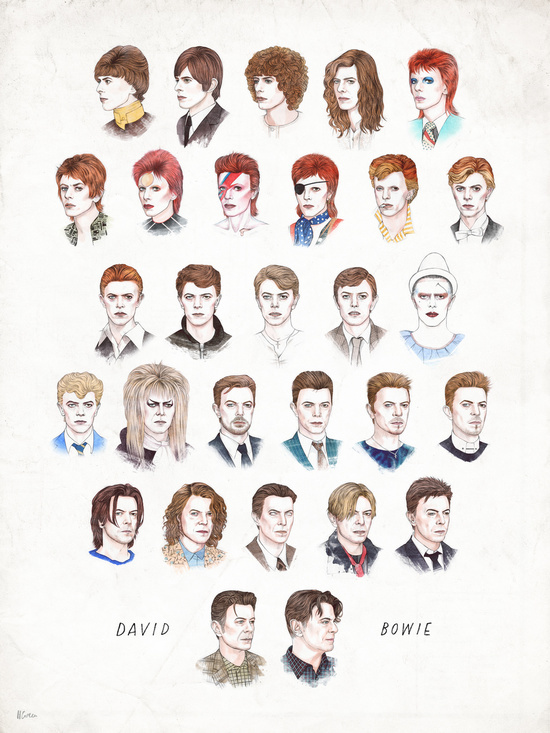 Bowie is another excellent example - who, like Gaga, transformed it seemed thoughout the progession of his musical journey, The "Mod" stage, the "Ziggy Stardust" era, the "Aladdin Sane" era, the "Diamond Dogs" era, etc. Another person is Christina Aguilera (see this video about her upcoming album here - it's truthful and pulls at the heart strings because you can hear it's sincerity). Another artist who I have huge admiration for his Marina Abramović. The true definition of performance artist. Her most incredible piece of art I have studied is her public performance of her work 'Rhythm 0' in 1974, which you can see pictured above. If you do not know her, please go and Google her now. Now, another note. No artists are the same. Some go through rapid changes and some may only evolve once. You cannot compare your journey as an artist to anyone else. It's like life - if we went around comparing ourselves to everyone, we'd get a bit depressed, wouldn't we? Your journey, your path is your own. So long as you are being true to what you feel you need to express and your vision, that's what matters. Pro Tips on How to get Pro Tips! The topic of what should you get paid in burlesque laps like the tide; coming in and out of conversations but nothing ever really gets resolved. So, I decided to do a blog on it! I'm sure every burlesque performer has queried how much they should ask for in regards to payment. I know I have! So I've broken down what you should ask yourselves when trying to quote for your performances. These are my own personal thoughts and views on the topic. My own way of sussing out what to charge may be totally different than your own and that's ok! Different strokes for different folks. It's a no-brainier that a brand new burly baby wouldn't charge as much as an experienced burlesquer, but how do you define that? Experience. Experience doesn't mean the amount of time someone has been performing burlesque (although it does factor in) but also how much training they've done, how much actual performance experience (i.e. treading the stage) they've had in shows, events, etc and how much they've grown as a performer. A quick note about elitism as opposed to experience, as this is topical in our industry currently. Elitism is a state of mind that comes from a person and how they personally perceive and conduct themselves. If people think like that, then that's their prerogative and reflects their own (possibly deluded) values of self worth. Elitists see themselves as the 'creme de la creme' of the scene; they snob any one who isn't of their "ranking" and are generally rude and stand-offish, ALL THE TIME, not just in social settings (some of my friends suffer social anxiety and retreat into themselves in social settings, but would be HORRIFIED if someone felt snubbed by them). If you choose not to associate with particular people in the industry because you personally aren't a fan of them or the way they conduct themselves, that's NOT ELITIST - for me personally, that's just me exercising self care. However, always be polite and civil, there’s no need to be unprofessional. This is an industry and if we want to be treated as professionals we should behave as such. Remember the ol' ego vs confidence rule - there's a VERY slim line between them. Always err to the side of confidence - always be humble. If you have EXPERIENCE in something, and you offer your expertise or advice (if wanted and/or requested) to someone with less experience than you, that's not being elitist, that's being helpful. I’m making this distinction because I’m not writing this blog from an elitist point of view, but from one of (quite considerable) experience. I don’t claim to know everything but I feel I know enough to write this after so many years in the industry as a producer, teacher and performer. My band of best burly babes and I were talking about this subject and how experience came into play with sussing out what to charge. So upon a lot of back and fourth conversation, we came up with categories on how to define the varying levels of experience in burlesque. I've listed them with explanations underneath. Starting from the bottom.. Throughout ALL of these categories, every burlesquer, no matter their experience, should always continue to learn, develop and grow. Professionals included. Baby Lilly performing at The Burlesque Masquerade Ball in 2010 in Wellington. Photo by Sara Jane Austin. A Rookie is a burlesquer with 0-1 years experience in performing burlesque. During this time, they're honing their craft, learning from burlesque schools, private lessons, resources such as YouTube and developing their burlesque persona. A Rookie burlesquer, regardless of their experience, should get paid something - if not with cash, then with something with the same value such as a private burlesque lesson. NOTE: If you're a Rookie and performing in your Rookie/graduating revue, you shouldn't expect payment as this is part and parcel of your course. An Amateur burlesquer has 1-3 years experience. They've done some training, they've got a couple of routines under their belt and are continuing to develop and grow as a burlesque artist. Payment wise, I'd say the same in regards to the Rookie. A burlesque artist who identifies in this category is someone who has been performing for at least 2 years and purely sees burlesque as a hobby. Not as a job, not even a part time or casual job, a hobby. They do not perform for money, rather they purely perform for the thrill. As per the two categories above, regardless of their affiliation to burlesque, they should still ask for compensation. Note - some performers may stay at this level for their entire involvement in burlesque, and that's totally ok! There is two differences between a Hobbyist and a Professional Hobbyist. One is that the Professional Hobbyist performs casually (i.e. this is not their full time job, maybe not even their part time job) but they do expect to get paid for their performances. They will have also been performing for at least upwards of 3+ years. That payment will reflect their experience in the industry. They will expect money as payment rather than other forms of compensation. Two, they'll have an overall professional manner and market themselves as such. They will generally have at least a designated FB page and/or Instagram account for their burlesque persona as well as possibly a designated email address. Again, like the Hobbyist, a performer may stay at this level for their entire involvement in burlesque. An oldie, but a goodie! 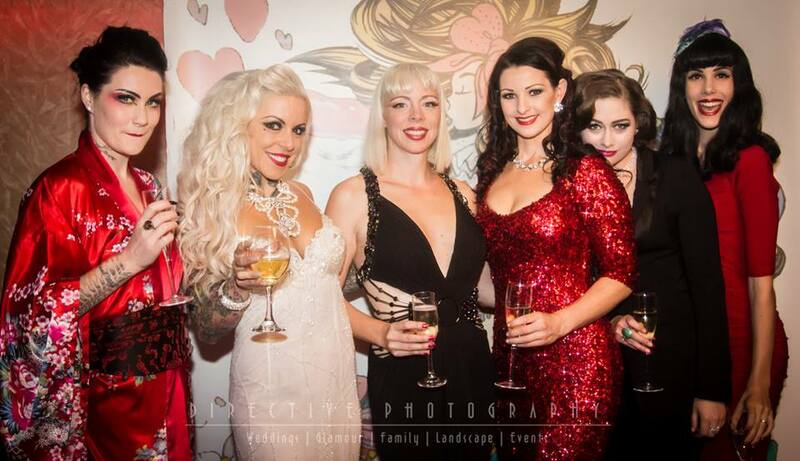 From L to R - The Magenta Diamond, Venus Starr, Australian and Miss Exotic World 2012 Imogen Kelly, Bonita Danger Doll, Leda Petit and Lilly Loca (moi!) pictured at Venus Starr's 'Carousel Cabaret' in 2014. Photo by Directive Photography. 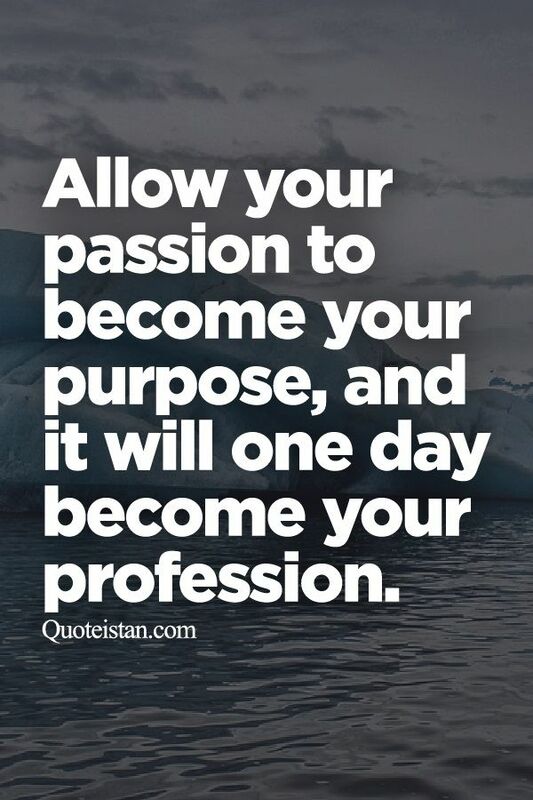 The jump from Professional Hobbyist to Professional is quite substantial, and for the following reasons. A Professional Performer sees burlesque entertainment as their part time or full time job. They, like Professional Hobbyists, conduct themselves professionally, have social media platforms covered for their persona, but on top of this they will most likely have a website and YouTube channel too along with a designated email. They'll tend to have a certain level of polish, have at least 4+ years in the industry and have evolved their own particular style, brand and acts which they are known for. They will sometimes also have merchandise you can buy either online or at shows, which may include (but are not subjected to) posters, clothing, used nylon stockings, etc. Professionals will continue (like all the other categories - hopefully) to put money into their professional development and create high quality, polished acts with costumes, etc to match. Professionals will always expect payment for their acts and will charge according to their experience. Ok, so there's the different categories. You may agree or disagree, but that's what we came up with. You may notice I didn't put any actual price tags in there. Well, that's because you can't simply apply a stock fee for burlesque. It all depends on who and where you are performing, which leads to my next point..
Now, the kinds of burlesque shows I'm talking about here are the ones run by people within the burlesque industry, not ones created by event companies or by the corporate world. Some producers do what's called a "risk share" where every performer in the show, regardless of their experience, will get an equal share of the profits after expenses. This is a fail-safe way for producers to pay people, but they should always do a budget and have some idea as who what the minimum will be. An experienced performer may ask for a retainer, but generally so long as the producer is up front with you and if you are happy to do risk share, than so be it. Sometimes it pays off aannndddd sometimes it doesn't. Personally, I wouldn't do a risk share if I had to travel (I've been caught out before). If I wanted to test out an act and if it was a local production, sure, but I wouldn't be performing one of my more elaborate acts for a minimal fee. Otherwise, producers offer a set fee. The good thing about set fees is you know what you're getting from the outset, which is nice and handy for budgeting purposes. Taking into account the climate, which I chat about above, a lot of producers really do try to pay the best they can for their performers with the budget they're given. But don't be expecting $500.00+ per act as to put it simply, burlesque producers can't afford it. We do what we do because we're passionate about the industry, producing and showcasing performers as well as our own skill set. For an amateur, you'd be looking at between $50-$100 per performance. For a professional hobbyist or professional, $100-$200 per act. If you get a headlining spot, perhaps $200-$300 per act. That's just a generalized figure and may fluctuate between varying producers. Bottom line, in burlesque shows, don't expect top dollar. But regardless of experience, do ensure you do get paid. You've received an email asking for you to perform at x place at x time for x long. Then they ask you "how much?". Well, how long is a piece of string? Your experience - If you're promoting yourself as a premium product, but don't have the experience, you're going to stab yourself in the foot with a stiletto heel - and it will hurt. Do NOT over promise and do not say you can do something that isn't within your skill-set. Always be honest and price accordingly. If you are an expert at performing burlesque, and have the experience behind that to prove it, then feel free to charge top dollar. Also, on this subject, if you think you're not comfortable taking on a particular gig, or you think that your skill set isn't suited to what the client wants, that's OK. I often pass gigs on to my fellow performers who I know would be a better fit if I can't actually do what they're asking for (see my notes on saying no at the end of the blog). Time - How much time will this booking ask of you - now I don't mean this just in terms of time at the actual event, but in regards to rehearsal, packing, prop moving, travelling, preparation re. hair and make-up and then, of course, actual time you'll need to be at the event and how many performances. Travel - This also merges in with time, but how much travel is involved? Will they cover your travel? Or will you need to sort your own? This also factors in accommodation, etc too. If the client will cover travel & expenses, then you don't need to cater that into your quote. If they don't, then you will. Note that this factor is more relevent for performers who are performing out of town. Who is booking you - Ultimately, you need to value your worth and review each client as a case by case basis. Regardless of it's a hens party wanting a fun, flirty strip tease act or a corporate body who want 2x highly glamorized burlesque acts with large props for their bosses birthday soiree with some mingling afterwards, you need to be the judge as to what you should charge by taking into account all of the above. So for these kinds of gigs, start chatting with fellow burlesquers and see what they would charge, then after analyzing the above, think of what you'd be happy with. Ask burlesquers from a range of different experiences so you can get a feel for what various performers charge. You can always be negotiable, but don't allow for a client NOT to pay you what you believe your worth. But again, take into account your experience. My final thoughts on this.. I know I sound like a broken record here, but please ask for payment or compensation of some sort. If you don't, you devalue the industry and allow for producers outside the scene, private and corporate clients to expect more for less. If we want burlesque to be seen as an important, relative and serious art form, we need to treat it as such. Seriously, if someone doesn't want to pay you what you'd like, then politely and professionally tell them no. Simple. Don't do something for free because you're desperate for a gig. Again, that kind of behavior does nothing for the industry and those in it. This also goes for my point above regarding if you feel you cannot offer what a client wants/needs. Don't take a gig because you are afraid of missing out. There's so much to be gained from sharing opportunities with others and if you feel like another performer fits the mold better, then put them forward instead and graciously decline. But, always leave the door open. Phew, that was a long one! I hope you find this helpful and informative. New Years Resolutions... yeah, nah. As much as I like to think that the new year allows for us to change, grow and turn over a new leaf, figuratively speaking, I don't really believe in them. Why? Because generally they're not well planned and generally are set up to fail. Like deciding to not each sugar for a year... good on you, m'dear.. but how committed are you REALLY to staying off the sugar crack? I don't mean to sound like the new years grinch, because I try not to be, but goals, dreams and aspirations should be well thought out, simple and realistic. I'm not going to inform you how to write goals, how to stick to them or how to successfully stay off sugar. But, I will impart what my very few goals of 2018 are, and what my 2017 ones where and whether I upheld them. Yes, I am aware they're short and simple, but they actually encompass a lot of different things. I'm sure there's posts about how having very specific goals are better, blah blah, but this is what works for me. Self care was at the top of my list - having had a break down in 2015 and finally getting help (which if you follow me on social media, you'll know I am very public about mental health awareness and its importance) I had to learn the hard way that I needed to make myself a priority. So, I did. The simple action of being a bit selfish, instead of completely selfless, made a huge difference for me. If I was tired, I went to sleep instead of being a martyr and working until midnight. If I needed help with my daughter, I asked. If people sucked the energy out of me and it didn't serve me to have them in my life, I let them go, which leads me to my next goal. This is something I have been working on for a very, very long time. I'm naturally empathetic and feel emotions very strongly. I also feel others emotions and thus if I am near or surrounded by negative people or negative energy, I feel like a Dementor from Harry Potter is hovering close by. I let go of negative people, deciding to not be afraid of potential backlash, awkward public bump-in's with people I had deleted or unfollowed on social media and again, hold onto my goal of self care. I hate confrontation. Despise, loathe confrontation. This has been a very personal challenge for me as from when I was a kid, who was bullied right through until my mid teens for being "different", I was basically a door mat. I just wanted to feel accepted, a part of something. That, is what theatre allowed me to feel. I finally felt home, that I had a place I belonged outside in the real world outside my imagination and my parents. I decided last year that I was allowing people to have control over me, to abuse my good, empathetic nature and trust me, I've had my fair share of narcissists and manipulators and I decided enough was enough. I'm 30 years old, I know who I am, my mind is healthy and I am not going to allow anyone to tell me what I can't do, what I should do or what my limitations are. Also, I wanted to be a role model for my little girl, as I didn't want her to go through what I did growing up. This goal in particular I am proud of, as I have spoken up when I have needed to and I didn't allow myself to be a doormat. Sure, there's a few times I have decided to walk away and be the bigger person, and I still need to work on personal confrontation, especially with volatile characters, but on the whole I felt like I nailed this, as well as my other goals. ⭐️ Winning the national title of Supreme Grand Tease New Zealand 2017, as well as other titles and accolades. This was so freakin’ cool - considering I performed alongside and was in competition with 30 of NZ’a fabulous burlesque talents. Absolute tops! ⭐️ Performing in the Hollywood Burlesque Festival - seriously HUGE one! ⭐️ Producing 6 burlesque and variety shows for Cassette Nine and UXBRIDGE Arts & Culture, as well as an event for Auckland Council. ⭐️ Teaching some truly lovely, wonderful, talented ladies the art of burlesque through Bambina Burlesque Academy NZ. ⭐️ Being featured in prolific magazines such as Viva, Fashion Quarterly, Sinical Mag, Eastlife and various newspapers and online publications and blogs. ⭐️ Being featured on Newshub and having the fabulous Verity Johnson cover my trip when I went to perform in the USA in Hollywood. So.. what are my goals for 2018? Kinda same, same but a few others added in. See below. What are your goals? Feel free to leave a comment below! A little advice from yours truly. Being an entrepreneur is hard work. Period. Trying to juggle the work/life balance is hard. Period. But would I change it for anything? Never. I'm working crazy hours at the moment - I'm scheduling posts for events, my promotions as a performer, my company, creating media and graphics to go with said scheduled posts, responding to emails, writing quotes, I'm performing quite a bit (it's the busy season!) teaching hens parties and teaching private tuition. I'm doing some professional development in media and marketing on the side in between everything else (luckily I can go at my own pace and plan to really get into it over the summer) as well as trying to find time to rehearse, schedule in work meetings, fit in yoga and not go insane. Plus trying to be a devoted and present parent who also has all the house hold chores like cooking, cleaning, washing, etc to do. BUT.. would I trade it for the world? No, never. I am living my best life - I produce shows, event manage, teach and perform for a living, which allows me to make my job work around my daughter and not the other way around. Yes, it's hard. Yes, it means long hours BUT...I love it! I breathe it. I crave it. I couldn't be happier. I love my life. If YOU want something, WORK your backside off to get it. Yes, it's going to be hard. Yes, the road less traveled isn't the easiest or quickest way to get to where you want to be. But I promise you, keep on keeping on, even in your darkest days - remember why you started down the road to live your passion in the first place. Rekindle the spirit, fight your way back to that place where the spark ignited, and you'll be back on track. Yes, there will be doubters. But you know what? Don't listen. Do what fuels you (obviously so long as it doesn't hurt or damage anyone or anything - karma's well and truly real!). So, as I sit here pouring over all this work that's coming out my ears, I am smiling and I am content. Because I built this. I have worked hard for this. This work I have is because of connections I've made and the hard work I've put into what I do. I've got a long way to go, but I am on the uphill slope and I'm going to keep climbing. Surround yourself with like-minded individuals who care and want you to succeed. Welcome to my first blog! How very exciting! I've decided to do a once a week post about whatever it is I feel inspired to write about, whether it be about anything to do with burlesque (including costumes, poses, advice, etc), #realtalk about life, the universe and everything (get the reference?) interviews with some fabulous, inspiring people or recommendations about products I use, brands I love or people with skill sets I think you'd like to hear about. If there's anything in particular you'd like me to blog about - give me a bell via my Contact Me page! For this first post, I decided to go back to a post I made on Facebook nearly a year ago when it comes to the role of a Burly Mumma (aka, Burlesque Mother, Burly Mom, etc). Having taught burlesque since 2010, and then opening my burlesque school Bambina Burlesque Academy in 2014, as well as having taught professionally as a drama teacher in high schools, primary schools and as an adult educator since 2009, I understand how important the role of an educator is to society. A teacher does not just teach - they influence, inspire and help people to harness their students creativity. They shepard their students whilst helping them discover their true potential. Because of this, how a teacher speaks, motivates and presents themselves to their students is hugely important. An unprofessional teacher, who says hurtful, potentially damaging things to their students shouldn't be an educator. Someone who is educating burly babies for their own personal gain or for self absorbed reasons shouldn't be an educator. A teacher educates because they feel compelled to help others. They genuinely care about educating the masses about their particular passion. They want to help others to grow, learn and develop. It's not a selfish need, it's a completely SELFLESS profession. Professionalism is paramount. It can take one snide comment, one off-handed, throw away line to completely derail a students emotional and physical well being. But, it can take one genuine comment, one beautifully positive moment of time with a student to bring about a profound difference to that particular persons emotional, physical and mental well being. So, without further ado, here's my thoughts on what a Burly Mumma should and shouldn't do. - Nurture, support and help to develop each of their individual students talents. - Guides their students as a shepard. - Allows for their students to go to different courses, experience different dance styles without prejudice. - Goes and supports their burly babies when they perform in shows. - Congratulates them on their successes and helps them get back up when they fall of their sparkly horse. - Helps their students find their niche and style and works with them to develop it. - Create and find opportunities for their babies to perform and grow. - Build their students self confidence so they can learn to love and appreciate their individuality. - Hold a student back by informing them they shouldn't try something new or explore different avenues. - Inform their students there is one way or the highway and that their way is the be all and end all. - Doesn't support their babies in performing in other people's shows or even starting their own ones. - Brings them down due to their own insecurities and undermines them. - Spits students out in blocks as sheep with no individual style or flair. - Makes students feel insecure about themselves. - Not allow for students to explore their horizons and try new classes lead by different teachers. - take credit for their students talent. I'm not perfect, I know - and other Burly Mummas, I'm sure you'd agree with what I've said. We need to help grow the next generation of Burly Babies and support and nurture them to become the burlesque stars they're born to be.